Three days of regsitration, measuring the boats, checking the sails and getting familiar with the race course, have been fabulous. Finnish summer has been showing the better part of it to the sailors and everybody has been enjoying to get together and see again the members of the Big Happy Melges 24 Family to celebrate the 20th Worlds of the class. Sunday evening the Worlds were officially declared open by Perttu Rönkkö, Regatta Chair and the Vice Commodor of the hosting club Helsingfors Segelklubb. The 59 Melges 24 teams from 15 nations were greeted by Benedek Fluck, the IM24CA Championship Coordinator Europe (HUN); Jens Wathne, the Chairman of IM24CA (NOR); Tomi Hakola, IM24CA Treasurer and the President of the Finnish Melges 24 Class Association; Henrik Andersson, the President of the Finnish Boat- and Sailing Federation. The ambience was great and emotional while almost 300 sailors were greeting staff of IM24CA, Race Committee, Jury, organisers and volunteers. At the end of the official opening ceremony the anthem of Finland, celebrating it’s 100 Years of Independence in 2017, was played. This was to honor the opportunity to have this fabulous sailing event here in Helsinki, Finland, where the last Melges 24 title event was held in 2003 – Jacobs Creek Europeans. 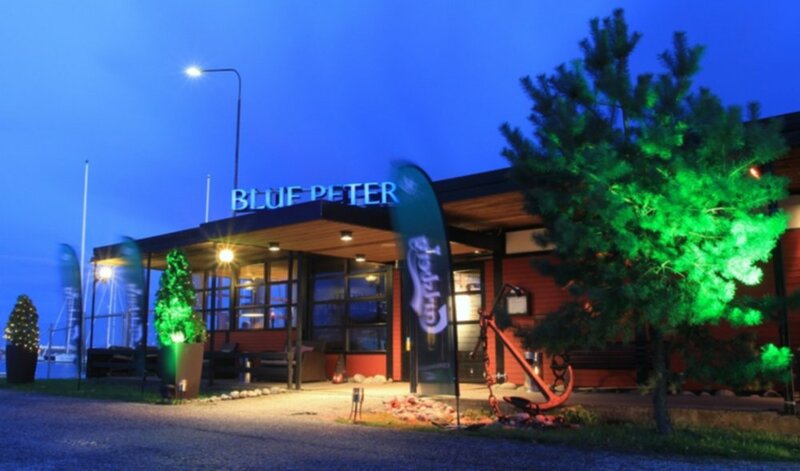 And the second time up here in the North the title event was held in Tallinn, Estonia 2010 – Marinepool Melges 24 Worlds. 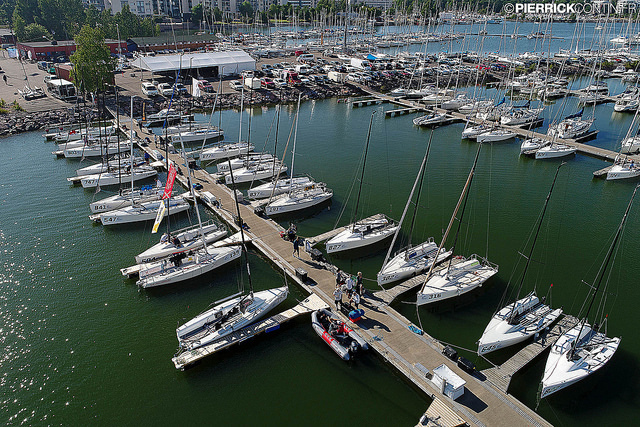 Check out the photos by Pierrick Contin from the Second Registration Day in Helsingfors Segelklubb, Helsinki, Finland. Here are some useful information to you about breakfasts, food packages, after sail meals etc. Check them out and let the Race Office know about your choices by Sunday evening (July 30). The pick up happens at the restaurant by showing the order confirmation from your mobile phone. Brewdog Helsinki is the flagship bar for Brewdog craft beers. With 24 drafts and huge bottle selection there is something for everybody. Restaurant Merimakasiini is situated right by the old docks of Helsinki, straight in the city centre. Specialized in seafood but also seasonal meat dishes can be found on the menu. Fisken på Disken is Swedish for “Fish on the Dish”. This is what you will get! Speciality – beef tartar High class seafood restaurant on the top floor of Kamppi Mall. 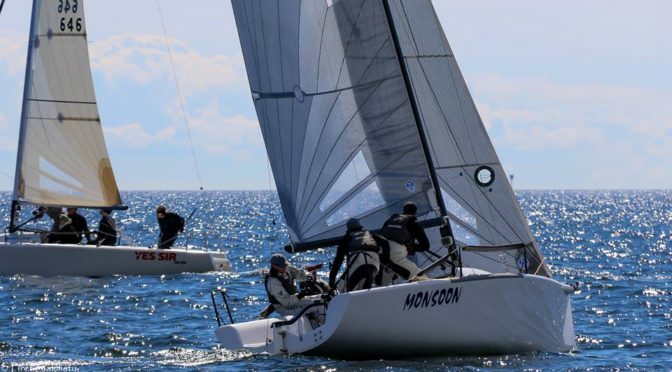 Congrats MONSOON USA851 by Bruce Ayres, TAKI 4 ITA778 by Marco Zammarchi and LENNY EST790 by Tõnu Tõniste for the podium places and thank you all Melges 24 teams participating the pre-Worlds – Melges 24 Finnish Open Championships on July 22-23! See you all less than in a week @ Melges 24 Worlds 2017! July 21, 2017 – Helsinki, Finland – Time is running fast as the Melges 24 fleet approaches the most awaited event of the season, the Melges 24 World Championship 2017 that, after having been hosted in the warm Miami past December, moves back to cooler Northern European climates: from July 28th to August 4th one of the most active fleets in the one-design scenario will be fighting once again to get on top of the World. Already for the 20th time as the first-ever Melges 24 World Championships were held in Torquay, England in 1998, where Vince Brun of San Diego, U.S., won the title among ninety-three teams. 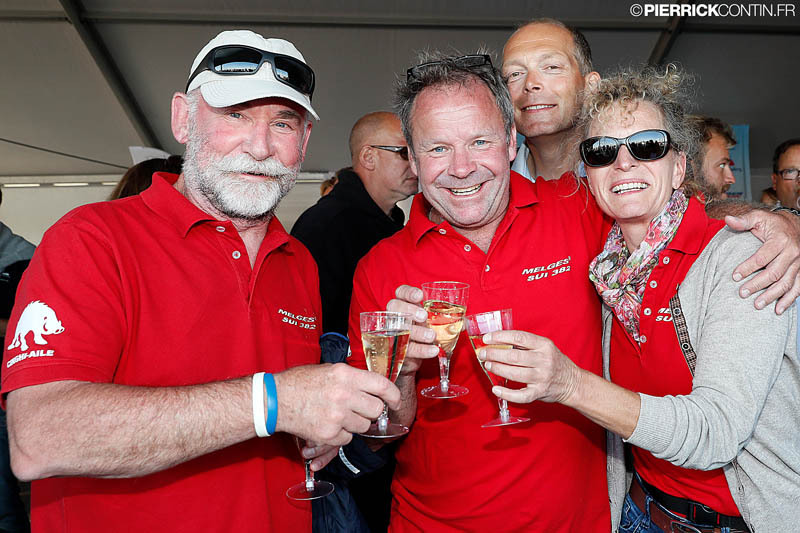 During these twenty remarkable years fifteen Melges 24 skippers overall and fifteen in Corinthian division have been crowned as World Champions. Excitement grows to see who are going to be the next ones! Fifty-nine boats from fifteen nations have registered to the copious fleet. Countries from Northern Europe have the largest representation with a total of twenty-eight boats coming from the Scandinavian area, but also Germany, Italy, Austria, Switzerland, Hungary, Slovakia, Ukraine, the Netherlands, and Great Britain will be racing. From overseas the American fleet will be represented by six boats: among them there are some crews that already marked the history of the Melges 24 Class and that rarely miss the most relevant appointments of the fleet: 2009 Corinthian World Champion and 2016 Worlds’ overall 4th – Monsoon by Bruce Ayres; 2016 Worlds’ 7th – John Brown’s Blind Squirrel andLucky Dog/Gill Race Team by Travis Weisleder being 9th at the latest Worlds, are just few of the well-known boats that will race in Helsinki. In the best traditions of Melges 24 Class, the Corinthian division will represent more than a half of the fleet – thirty three teams. 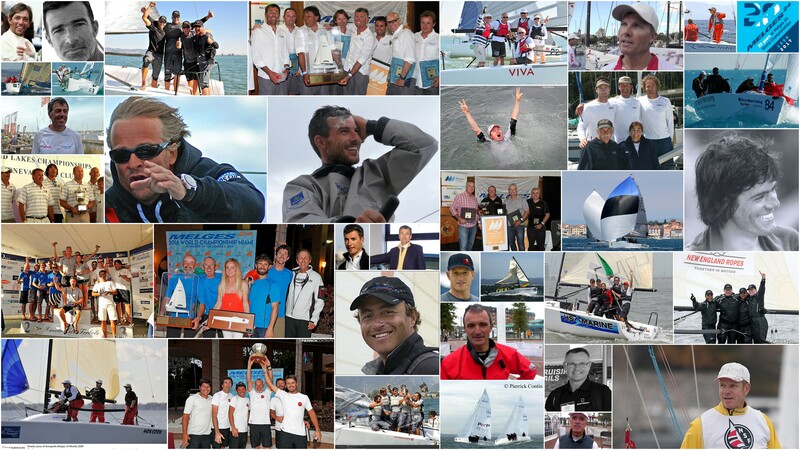 There will be the 2016 World Champions and current leaders of the European Sailing Series aboard the Italian entry, Marco Zammarchi’s Taki 4; also current leaders of the European Sailing Series Corinthian ranking and 2016 European Champions Gill Race Team by Miles Quinton with Geoff Carveth in helm, as for today the main competitor for Taki 4 in the European events during the spring. The Estonian entry Lenny by Tõniste twins will try to replicate the success obtained in the World Championship held in Hyeres, France in 2006 and in Middelfart, Denmark in 2015. It seems that there will be a lot of challenge and exciting sailing to shape the podium of the Corinthian division. Also in the overall division there will be many teams to keep in the spotlight: among them Italian Altea, helmed by Andrea Racchelli, second in the Worlds of Middlefart and winner of the 2016 Melges 24 European Sailing Series; and Italian Maidollis by Gianluca Perego, with the Fracassoli-Fonda tandem on board, that already won Melges 24 World Championships on Garda Lake in 2012 and was 2nd at the Miami Worlds in 2016, will be two of the most credited aspirants for the top of the podium. But also the Norwegian entry, three-times World Champion (2008, 2010, 2012) Storm Capital Sail Racing of Oyvind Peder Jahre will be competing in open division with Giulio Desiderato, tactician for the 2016 Melges 24 World Ranking winner Bombarda of Andrea Pozzi, onboard. 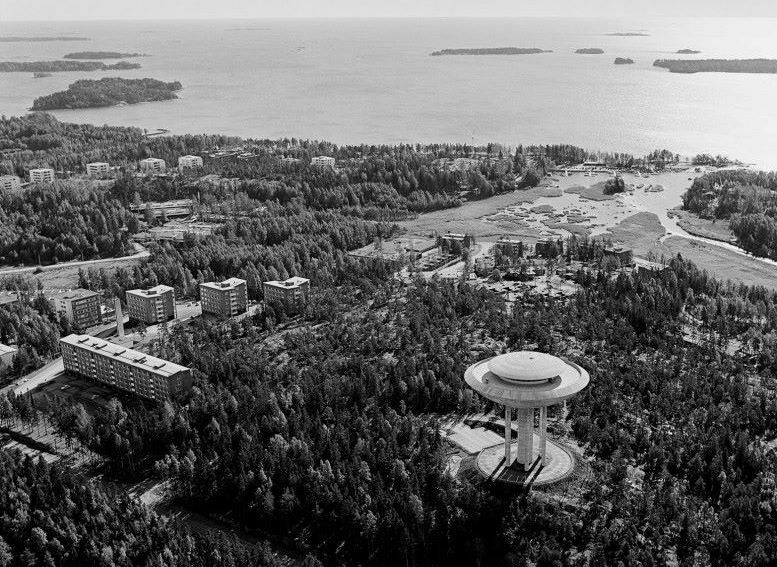 A Pre-Worlds regatta will be held on July 22-23, allowing the visiting sailors a chance to test themselves against the Helsinki conditions and each other. The first start for the 2017 Melges 24 World Championship, hosted by the Helsingfors Segelklubb (HSK) and organized by the International Melges 24 Class Association in cooperation with Finnish Melges 24 Class Association, is scheduled for July 31st at 11.00 am (Finnish time), while practice race will be held on July 30th. Twelve races are scheduled for the regatta.